It’s a hot topic across the Isle of Wight – but what do you think? There’s a PRO-LINK Campaign with proposals for a tunnel which would land somewhere in the middle of the Island. 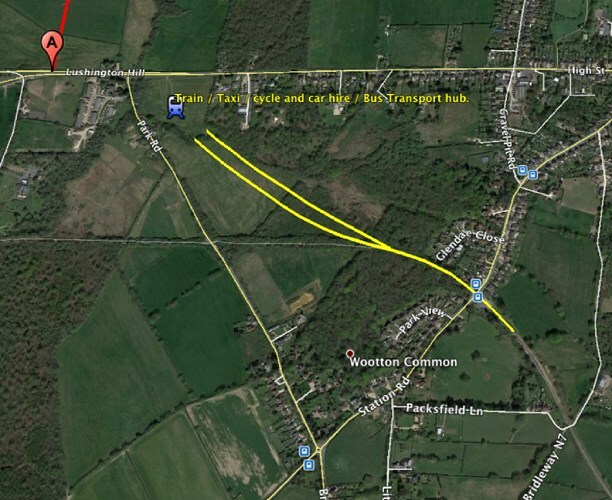 Now they’re suggesting a transport hub near Wootton linking in with the Havenstreet Railway. We’d love to hear the views of our guests – would it make the Island more appealing….or would it spoil it’s uniqueness? No, it would spoil the beautiful Isle of Wight. The cost of the ferry is less than a weeks accommodation. The ferry is part of our holiday too. On the ferry and we know we’re on holiday. The Island is so beautiful and unique why spoil it? A transport hub near Wootton, oh my what a real shame… to spoil such a lovely area. I would hate to see a tunnel, it would end up like the tunnels at Dartford queues queues and more queues and no-one would get access to the island if there was to be an accident. Maybe what should happen is that the ferries are looked at and stop the cancellations, make sure they all run on time and in good order. Leave it alone it is a unique place and we love it. We go to the Isle of Wight purely because it is – an island. Too many people and easier access and it risks becoming an extension of Hampshire, somewhere I have yet to choose as a holiday destination. I like island people and I think they like being island people – so if anything risks the pleasure island people get from being island people – then maybe some of the magic will go as well. Maybe the Pro-Linkers should move to the mainland rather than try and extend the mainland to the island. Maybe the disadvantages of a link will only become evident over time – by which time it will be too late. The use of a ferry is no trouble at all, churning up more countryside with the attendant costs involved will never be justified by the so called benefits. It gets even better – look at this. Would this really help the Island? It would make it easier for us residents to get on and off…..but do we want to that badly? surely that’s a wind-up – 2 tunnels – its all beginning to look like a part of the London underground. Looking at this (admittedly personal idea) maybe the tunnel extends across the Island between Ryde and Yarmouth with escalators to rise to ground level at those two points. 5* hotel – who would use that?? Holidaymakers?? ?